Stanley Crouch writes in his apartment on West 11th Street in Greenwich Village. 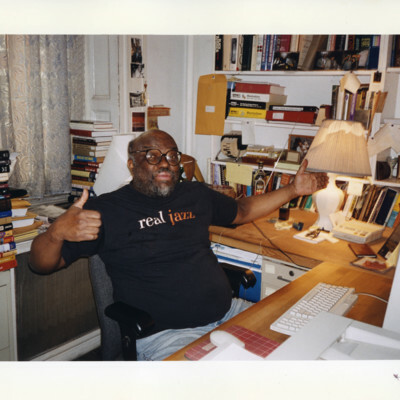 An avid jazz lover, Mr. Crouch surrounds himself when he works with the music and photos of Duke Ellington, Ella Fitzgerald, and Louis Armstrong. View from Albert Murray's window. 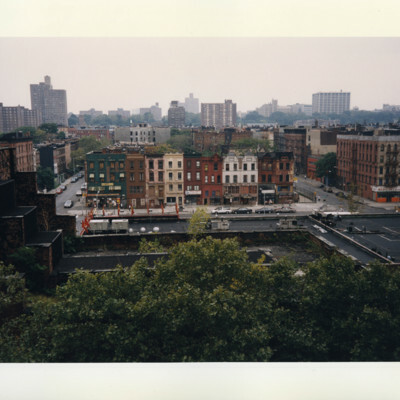 The view of New York City's Harlem neighborhood from Albert Murray's window. 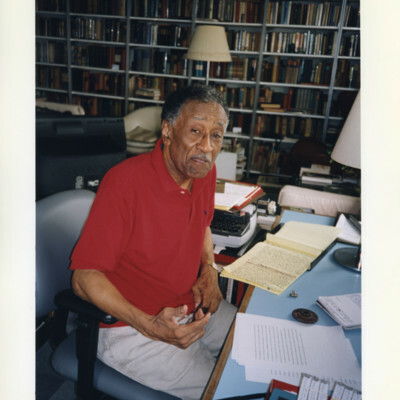 Albert Murray in his Harlem apartment with his yellow legal pads and the music cassettes he listened to as he wrote. 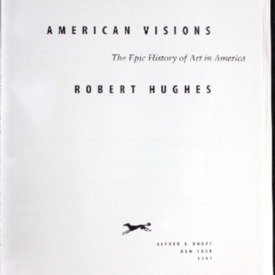 It was here that Mr. Murray wrote nine books starting in 1962.